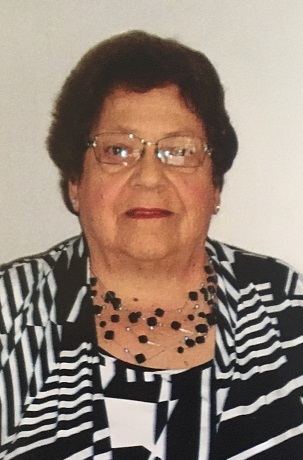 It is with great sadness and a heavy heart we, the family, would like to announce the passing of Charlotte Elizabeth Sillifant, 78, in Halifax on Thursday, April 5, 2018. She was the daughter of the late Cecil and Eva Fry. Charlotte passed peacefully. She was surrounded by loved ones. Charlotte was a loving mother to Andrew Ted, and Elizabeth Eva. Charlotte had a career as an LPN in both Nova Scotia as well as Ontario. Her caring and compassionate personality made her a wonderful nurse to many. Charlotte also was a very active volunteer in her community. She volunteered with the Palliative Care Program for many years in Sydney. She was also recognized as an outstanding volunteer with the Red Cross Society, Canadian Cancer Society as well as other local community organizations. Charlotte had a great love of music of all sorts. She was a member of Honey and Friends Choir, she also loved to attend live music and dance venues weekly. Charlotte’s social life was very active, she was a member of Club 55 which kept her very busy with a variety of events and crafts weekly. We would like to take this time to say a very special thank you to everyone at Maplestone Enhanced Care on Main Avenue in Halifax for taking such wonderful care of Charlotte in her last months. Even though she was only a guest there for a few short months she was loved by everyone there. Everyone there from the front desk, recreation department, physiotherapy department, and the outstanding care from each and every nurse, LPN, and CCA made Charlotte feel so special. Words cannot express our gratitude to all of you for taking such great care of Charlotte. Survived by her daughter, Elizabeth Eva (Michael) Shortliffe; precious grandson, Owen Kendall Roop; brother, Craig (Marylee) Fry; niece, Andrea Holley; nephews, Graham and Eric Fry; best friends, Glenda MacSween, Dorothy Novak, June MacDonald, Betty MacNeil, Carol Sparks, Clovie LeBlanc, Rachael Markovsky and Margaret MacSween, and many great friends. Besides her parents, she was predeceased by son, Andrew Ted Sillifant. 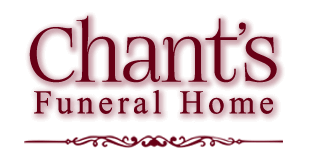 Funeral services are Wednesday, April 11, 11 a.m. at Chant’s Funeral Home, 564 Alexandra St., Sydney. There will be no visitation. A reception will follow. Donations in loving memory of Charlotte Elizabeth Sillifant can be made to your local shelter for homeless men.